With its dramatic coastlines and short distances, Ireland is the perfect destination for nature‐loving film fans. The country has been especially popular as a filming location for historical or fantasy TV shows, such as the smash hits Game of Thrones and Vikings, which have both been filmed in Ireland. Thanks to Ireland being surrounded by the Atlantic Ocean, it is usually pretty mild and it hardly gets super cold. However, it does rain a lot and it's quite often the case that there are alternating phases of sunshine and brief rain showers in one day. A particular good time might be in the so‐called "off season" (March / April or September / October), when there are less crowds and the landscape looks particularly beautiful due to the changing seasons. 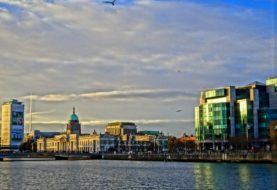 I picked late October / early November for my first Ireland trip and instead of rain was spoilt with beautiful sunshine on most of my travel days. Rental car: For maximum flexibility, this is for you. But make sure you feel comfortable to drive on the left side of the road and to navigate through the occasionally very narrow roads. Guided bus tour: If you prefer to sit back and relax while listening to all those fascinating tales from Irish history, book a guided bus tour! For those on a budget, I recommend the 7‐day All Ireland Rocker Tour by Shamrocker Adventures, which I joined in October 2016. 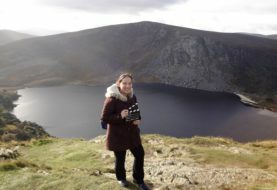 There are also lots of day trips offered from Dublin to virtually all places of interest in Ireland, for example the half‐day Wicklow Mountains "Vikings" film location tour by Day Tours Unplugged. Train: Certain routes, such as the trip to the Titanic Experience and Emigration Museum in Cobh, are not served by guided bus tours, so trains are your best bet. Irish trains are comfortable and quick, but tickets can be very expensive if booked last minute, so try to book them online around 2–3 weeks in advance. Public transport: Dublin is currently building an extensive new tramway system, but for the time being buses are your main public transport option to get around the city. The Dublin Area Rapid Transport (DART) rail line runs on Dublin's coastline, which is supposed to be a very scenic ride. Walking or Cycling: Many Irish cities, such as Galway or Cork, are small enough to walk everywhere. Dublin also offers a bike‐share scheme with over 100 stations throughout the city. Wicklow Mountains: Just a one‐hour drive from Dublin, you'll find the spectacular filming locations for historical TV series Vikings (2013‐ongoing) as well as Braveheart (1995) and P.S. I Love You (2007). You can easily go there on a half day trip from Dublin, for example by joining the specialised film location tour offered by Day Tours Unplugged. For more info on this tour, check out my post Vikings Film Locations Tour in Wicklow County, Ireland. At Wicklow Mountains – the filming location of "Vikings"
Ballintoy: Northern Ireland is Game of Thrones land. 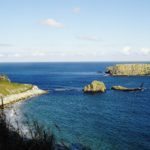 If you're a fan of the show, you simply cannot miss the 'Dark Hedges' on Bregagh Rd in Ballymoney and the 'Carrick‐a‐Rede Rope Bridge' near the small village of Ballintoy. The views over the Atlantic Ocean are absolutely stunning! The Giant’s Causeway: This natural wonder is made up of more than 40,000 interlocking basalt columns. The scientific explanation is that there was an ancient volcanic eruption. The folklore story is that of a rivalry between Irish giant Finn MacCool and a giant from nearby Scotland. Either way, it's beautiful! Belfast: This city used to be a place of big political upheaval. To learn more about the "Troubles" thematised in the historical thriller '71 (2014), take the famous Black Cab Tour. A must‐do for all fans of Titanic (1997) is the world's largest Titanic attraction Titanic Belfast Experience located on the former building site of the original ship. The building for the Titanic Experience in Belfast was designed as a huge iceberg, which has the same height as the original Titanic. Derry: Like Belfast, Derry used to be a divided city. Countless wall murals tell the story of the "Troubles". If you want to learn more about them, there is no way past LEGENDerry guide Garvin from City Walking Tours. Galway: Ireland's third largest city Galway is a lively student town with lots of traditional Irish pubs to check out in the evenings – the perfect film location for the romantic comedy P.S. I Love You (2007) and the film's title song "Galway Girl". Aran Islands: Time stood still on these peaceful islands, which are best explored by bicycle or horse carriage and offer lots of scenic viewpoints along the way. Somehow, these islands also reminded me a lot of the Iron Islands in Game of Thrones. 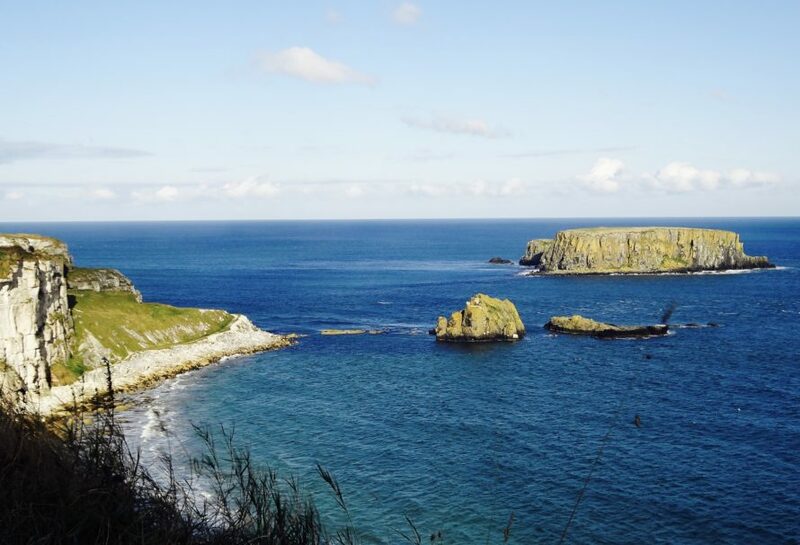 Their actual film locations were the area surrounding Ballintoy in Northern Ireland. From Galway, you can go to the Aran Islands for a day trip by bus, ferry or plane. 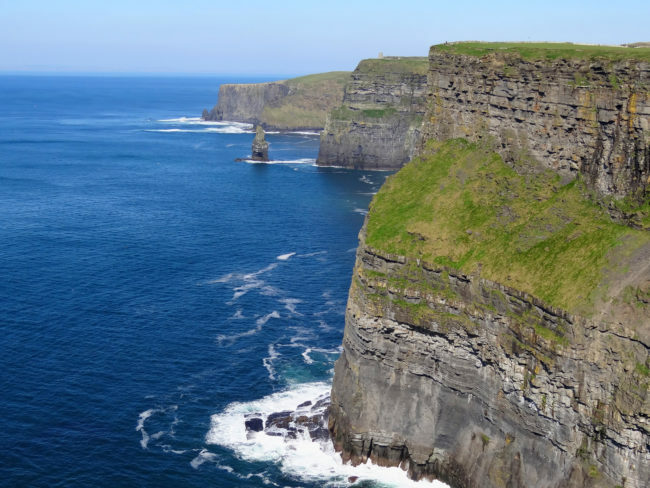 Cliffs of Moher: No Ireland visit would be complete without this impressive natural wonder! From Galway, it takes about one hour and 40 minutes drive to get there. Alternatively, you can join a guided day tour from Dublin. Cork and Cobh: From Ireland's second largest city Cork (2 hours 30 min. by train from Dublin), it's a short (and scenic!) 25‐minute train ride to the harbour town of Cobh (formerly called Queenstown) – the last port of call of the doomed Titanic back in April 1912. In Cobh, Titanic fans and those interested in the history of Irish emigration, should check out the Titanic Experience and Emigration Museum here. Blarney Castle: Ireland's most famous medieval castle can easily be visited on a day trip from Dublin. If you're up for it, you can kiss the famous Blarney Stone for good luck. County Kerry: Beautiful beaches, cliffs and views await on every corner of the famous 'Ring of Kerry'. In the evening, the party town of Killarney is a fun experience, especially if you are in group. Just watch out for the famous 'Kerry men', who all wear checkered shirts and are extremely persistent when it comes to flirting with newly arrived girls. Dingle peninsula: The coastlines here are steep and the roads narrow, but the view is breathtaking! 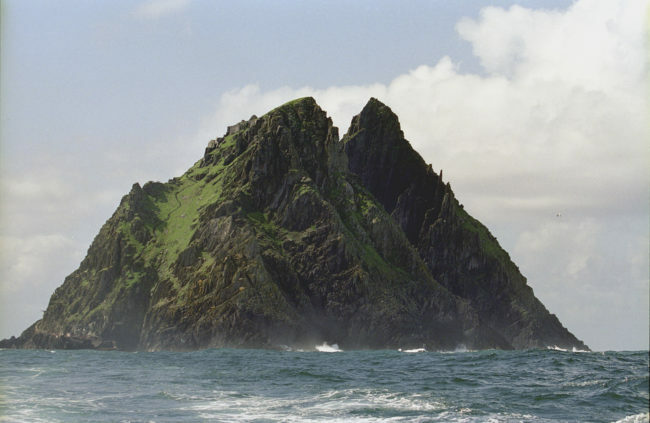 Try if you can see the uninhabited island of Skelling Michael, which was used as a film location in Star Wars: Rogue One (2016). 7. Hotels in Dublin tend to be either expensive or very quite far out of the city. So AirBnB may be a good alternative for budget travellers who don't want to stay in crammed hostel. One of the Irish castle ruins used as a filming location for "Game of Thrones"
Disclosure: This blog post includes affiliate links to GetYourGuide.com. If you click on any of these links and make a booking, I will receive a small affiliate fee, which I will use for the costs of running my website.